Life is crazy and I am always trying to fit everything in. Some days I am really on a roll, and I get a ton of stuff done. Other days things don’t go as planned, and my to-do list is a complete flop. I’ve recently learned a lot about becoming more efficient in my day to day life, and I wanted to share my tips with you. I hope we can all start feeling a little bit better about our to-do list. It’ll never be perfect, but there’s always room for improvement. 1. Teach your children independent play. 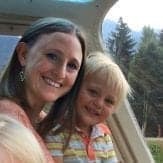 For those of you that read my post on how to teach your kids to play independently, you know that it’s possible to get up to an hour a day of additional time to get things done. 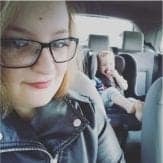 For children who are a bit older, I wrote a post about starting independent play late or after a long hiatus to help you get started. 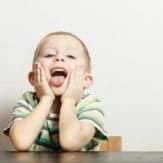 Teaching independent play offers children time to learn focusing skills, creativity, problem solving, and self-play adeptness. Learning to play independently is also a valuable life skill for all children to learn. During this time you can get chores done, catch up on bills and emails, or also take a break to breathe and doing something just for you. As moms, it’s okay to take some time each day to recharge and invest in ourselves. I’m a way better mom when I make time for myself. Plus, when I get a few things done without interruption, I feel really good about myself. 2. Get sleep in order. Having a good schedule and a child who can fall asleep independently offers up additional time each day to get things done. If you are able to lay your child down awake, it is a huge timesaver! If you have a good sleep schedule going, it offers tons of predictability to help you plan your day. In our home, we have a 5 minute nap routine and a 30 minute bedtime routine. No muss. No fuss. This means when it’s nap time, I set the stage about 20 minutes before the nap to help him calm down. 5 minutes before his nap, I take him to his room, put on his wearable blanket, and we cuddle for a bit with his blanket before he lays down. That is all. 3. 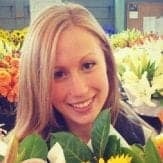 Child no longer napping? Implement rest time. 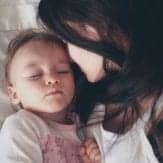 For moms out there with children, who no longer nap, rest time is something that is available to you. I’m not an expert in rest time because we haven’t reached that point yet, since my son is still napping. However, I know several moms, who’ve used rest time as a way to get things done, and they say it works really well! Rest time is basically a set time each day where your child is required to lay down in his bed and read books or do another type of quiet activity. 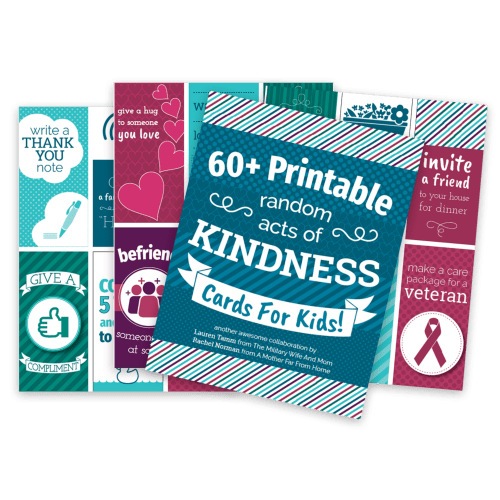 This ensures your child gets some wind down time each day, and bonus, you can get some stuff done around the house! I know easier said than done, right? Truly though, staying organized really streamlines my day to day life. I can find things quicker and get done what I need to more efficiently. For our family, home organization comes in the form of getting our house cleaned up before bed so I can start each day fresh. It also means putting things back where they belong so I can find them easily when I need them. For tons of amazing tips to help you organize your home, check out my Home Organization Pinterest Board. Follow The Military Wife and Mom’s board Home Organization on Pinterest. 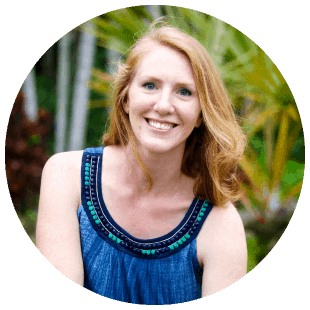 Or you can pop on over to my friend Chelsea’s blog, Moments a Day, where she recently posted 50 Days to Simplify Your Home. Plus, you get a FREE printable checklist to implement her strategy! 5. 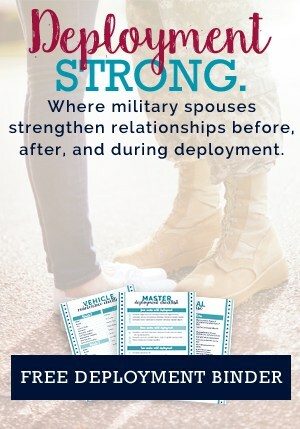 Enlist your spouse for help. 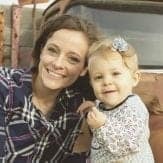 I know as stay at home moms, we often feel like we should be doing it all without assistance. But my husband and I are in this together. While I manage the majority of our household, my husband does help with laundry, dishes, and basic household stuff. Because getting the kitchen cleaned up together after dinner means more time for just us in the evening. When my husband helps me fold a load of laundry, it goes twice as fast! Which again means, we have twice as much time to spend together in the evenings and on weekends. Asking your spouse for a little bit of help goes along way when trying to get things done more efficiently. 6. Enlist your kids for help. 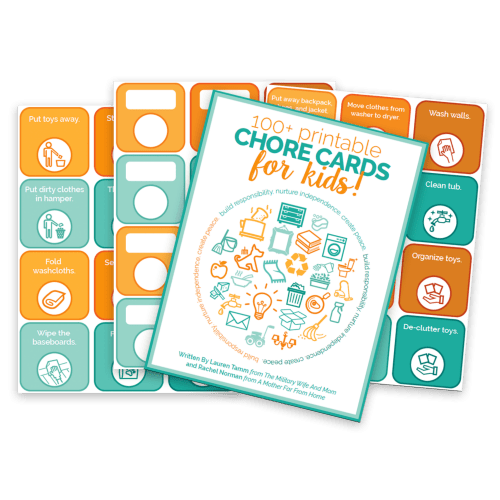 I created a set of 100+ printable chore cards for kids. 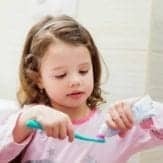 They are easy to use, teach kids responsibility and they are vastly different from chore charts. 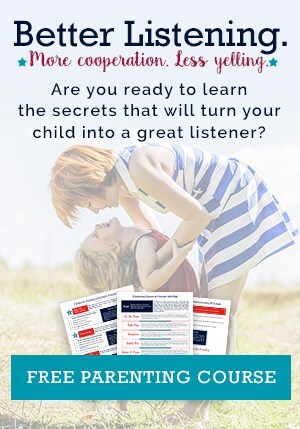 In the past, when I introduced my oldest to a set of printable routine cards, I used a very specific Language of Listening® approach to help him learn how to use the cards. I used the exact same approach to teach him how to use these chore cards. Within a few days he was doing jobs on his own, and I didn’t have to nag, yell or dangle M&Ms in front of his face. Talk about a parenting miracle. Printable chore cards for kids. 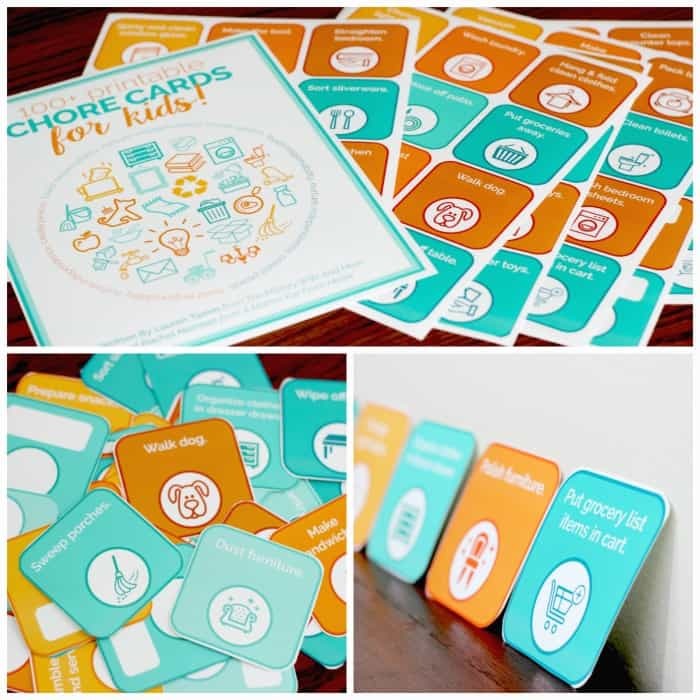 Once you have your chore cards, you’ll want to print them on card stock or matte photo paper. If desired, you can laminate them using some simple laminating paper, but I usually skip this step to keep it simple. 7. Know it’s okay to NOT do it all. After doing all of the above, there are still many days when the floor is a mess, the laundry is piling up, and I’m behind on emails. Life happens. And that’s okay. Some days my son just won’t do independent playtime, or he refuses to nap for longer than 20 minutes, or he gets up really early: all of these things are understandable. If the bills get pushed back a day or two and my to do list is rapidly expanding, it’s okay. After all, I’m only human. I’m only one person. And life is imperfect. 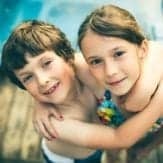 Ready to find a routine that works for your family? 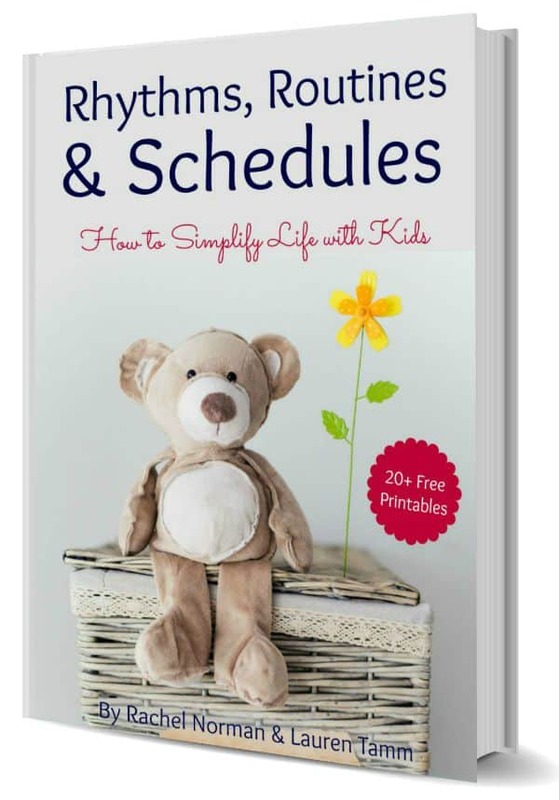 I’ve written a book with my friend Rachel that has ideas for rhythms, routines and schedules that’ll help your children ages 6 weeks to 5 years old. 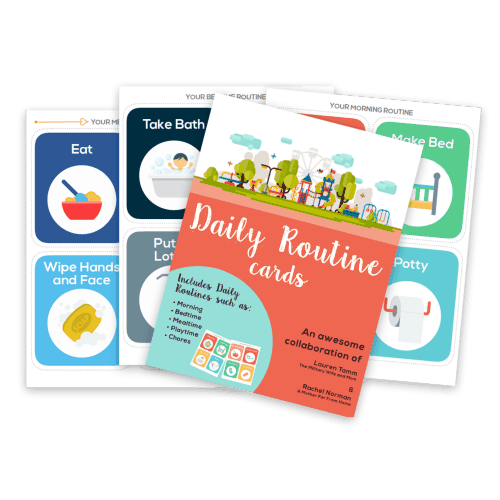 There are over 30 printables (all different routines you can print out) including tips for running your day and figuring out a routine with multiple children! Click here to Get Started with Routines, Rhythms and Schedules! I really need to work on getting organized and going to bed on a time. I definitely need that time in the afternoon to get things done, so I make sure my daughter either takes a nap or has quiet time (which she’s not always happy about!). It’s sometimes tough when my baby won’t take a nap at the same time, but we’re working on it. These tips are really helpful, Lauren! I’ve been horrible about going to bed on time. And it’s 4 am here, and I am already up and working. I really need to work on the sleep thing, but my mind just won’t shut off. Jameson’s been protesting independent play, so we are really working on getting back in the groove. Talk to you later Charlee. That last one for sure is the one I need to remember all the time, I try to do too much and get overwhelmed. I’m trying to teach my youngest independent play now so I can have more time to do other things. She usually likes me to play with her but now she’s playing more on her own, building blocks and even “pretend” reading her books to her dolls (she says she’s she is their mommy and she tucks them in bed, too!). 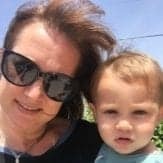 I think it’s great for the child and moms to get the kids to help out, my son helps me with laundry now which is a big time-saver for me because laundry is a daily chore for us here! These are all useful tips and important to know to balance busy days, thanks for sharing it! It’s so fun hearing about kids playing pretend. I’m really looking forward to the day when Jameson starts more role playing with his toys. I agree, Bernadyn, having kids help out even a small amount can really save time! Laundry is always piling in our house and we only have 3 people! But both my husband and I have gym clothes daily, so that contributes to the problem. Have a great day! I do most of these, otherwise I don’t how I would manage to handle it all! 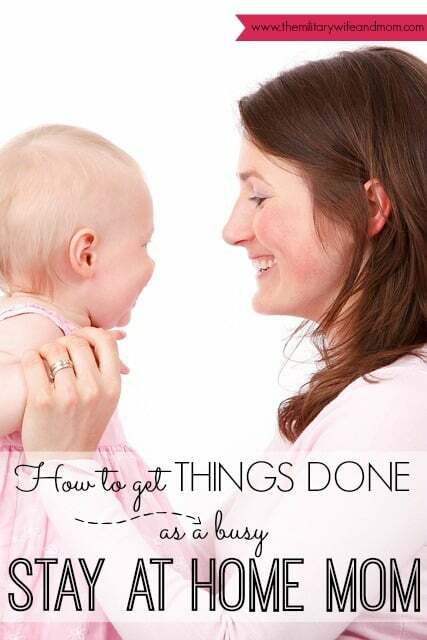 Yes, moms do tend to be busy! I don’t know how I would manage anything in my life if I weren’t using these ideas. Even when I do these things, there is still chaos on a daily basis, but that’s part of life 🙂 Have a great day, Ana. Great tips! I love that my son will play independently (for the most part) so I can get some stuff done. Although, he tries to “help” me fold the laundry and it ends up taking me double the time haha. My husband also helps out. I always clean up after dinner, but he enjoys getting our son ready for bed since he doesn’t get to see him all day. I need to get more organized though! I just have to-do lists scattered everywhere! I’m always working on organization too. Sometimes it’s a real pain and it goes on the back burner around here. Sometimes Jameson’s vacuuming does take me a bit longer, it makes him happy , ha ha. It’s a work in progress. Have a great day! Oh yes, definitely. I thought the list was wonderful, Chelsea. It is so hard to stay organized, isn’t it? Many days I feel like I’m in a constant cycle of mess to organization. It’s hard to keep everything in its place, which is one of the best reasons to get rid of all this *stuff* and stop acquiring more stuff. Have a great day! Love this, Lauren. I really do use independent play. One of my girls is much better at it than another – but it is a personality issue, I know. I also think implementing spousal help, and being organized are key. I know that I must have the dishes in the dishwasher and most things put away before I can truly relax at night. That is so important to me. I find I am great at accomplishing a lot at home, but I am struggling with doing the same and applying it well on my blog. I can get lost in time online and need a better balance between writing, interacting, and social media. I am working on it! Thanks for your great tips! 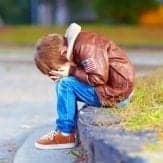 My son has plenty of days when he protests independent play and we consistently try to work through those rough patches. Continually teaching and growing in the area of independent play is totally worth it. I too struggle with staying on task with the blog. There is always so much to be done in terms of networking and social media that it is hard to stay on track with writing great content. I find staying offline by turning off my wireless really helps me stay on track when I am trying to write a post. 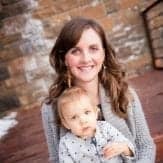 Such a great tip, Erica…”I like my kids to see me caring for my home.” Yes, because it helps kids learn that a clean and well run household does not happen magically. It takes a lot of hard work. Thanks so much for visiting!